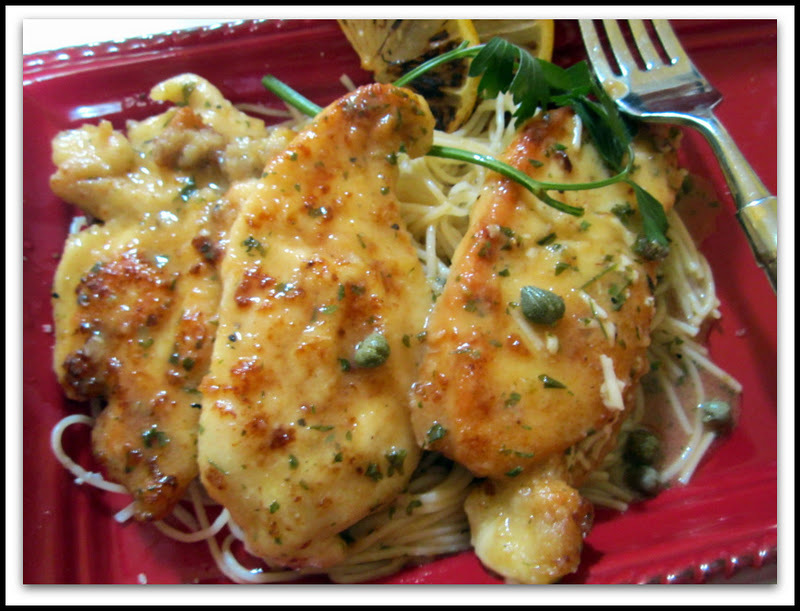 We have always enjoyed this dish in restaurants, and when our neighbor Jason came over with his Chicken Piccata, and shared his recipe with us, we began to make our own at home. We hope this is right! Cut or slice the tenderloins into smaller bite size pieces. Coat in flour in a ziploc bag. 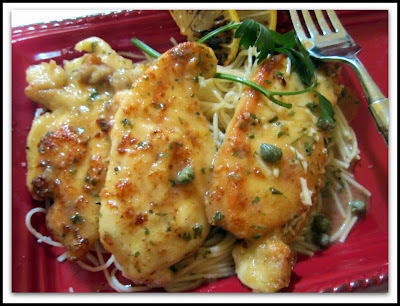 Heat butter in pan until hot, then add chicken tenderloins. Turn after 3 minutes and continue to cook. 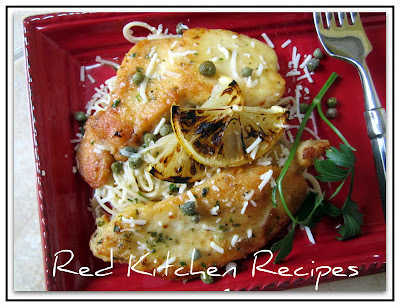 Remove from pan when finished. 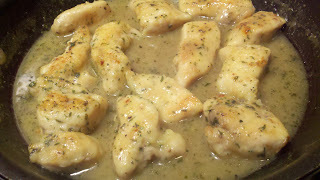 Add lemon juice, stock, and parsley. Use a whisk to remove the bits from the bottom of the pan. 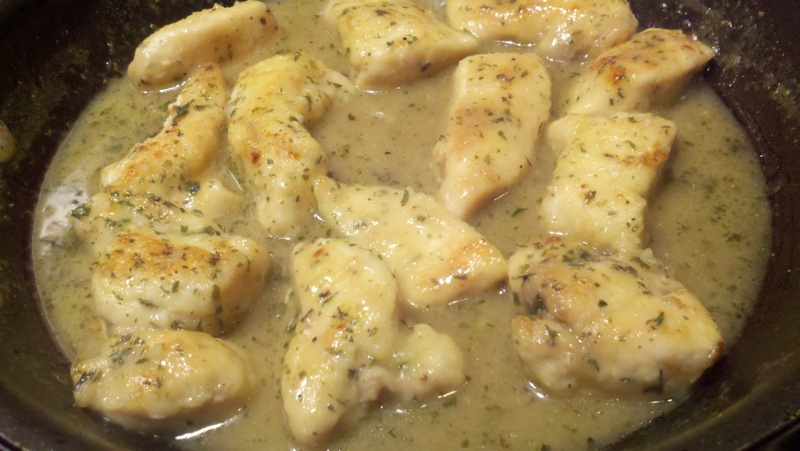 Return chicken to pan. 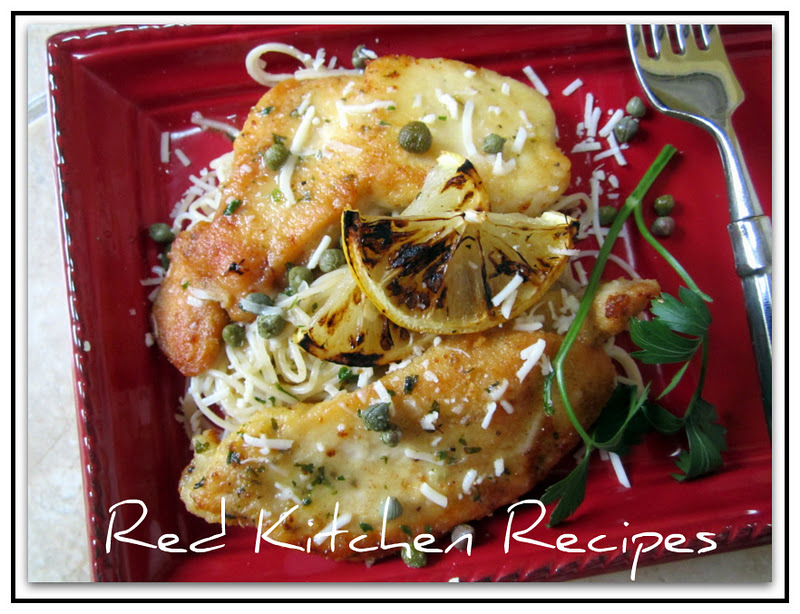 Combine chicken, pasta, sauce, and capers. Top with my favorite cheese - shredded Asiago!! !